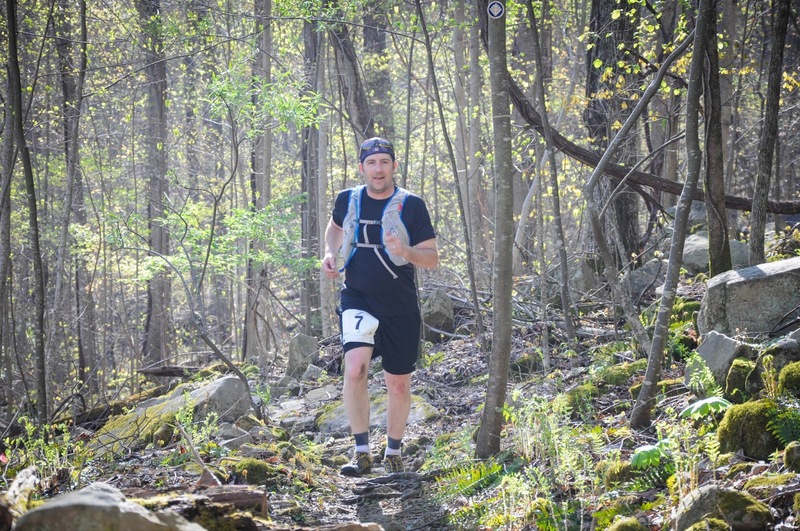 I took about 2 weeks off following the Dark Hollow Wallow trail race I ran back in February. One reason for this was it was the longest race I've run in a very long time. The other reason, and main reason, was because Robin was having back surgery two days after the race and I was on tap to take care of her and Dinah Bug. Little did I know at the time, that not only was I taking 2 weeks off from running, but I was also going to be off from work for about a month and a half. At Robin's 2 week follow-up appointment, her doctor put her on a lifting restriction of no more than 10 pounds for 4 weeks. 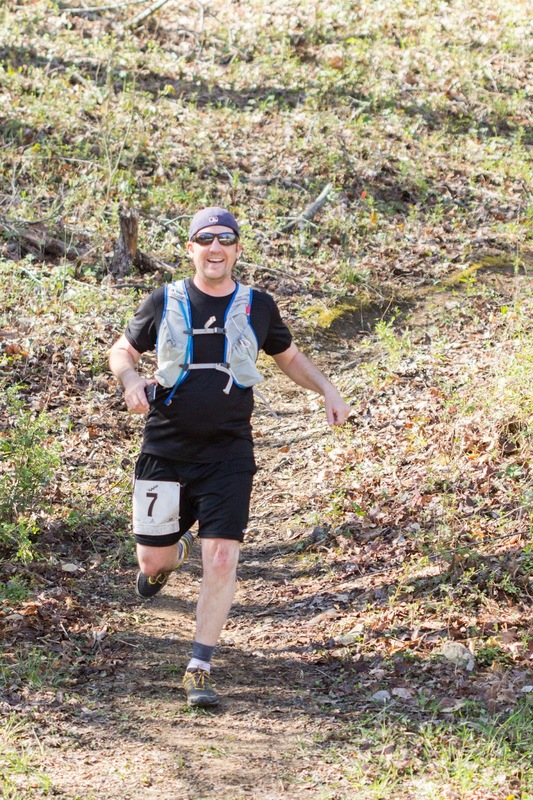 It was during this 4 week stretch that I got back to training, and this time my sights were set on the Panther Creek Challenge trail race, an 11 mile trail race at Panther Creek State Park (another in the Treadin' Troddin' Trails series by the Knoxville Track Club). Of course with Robin's restriction, I was limited to doing my training runs when Bug was napping, or when the teenager was home to help Robin with Bug. That would allow me to get my long runs in. 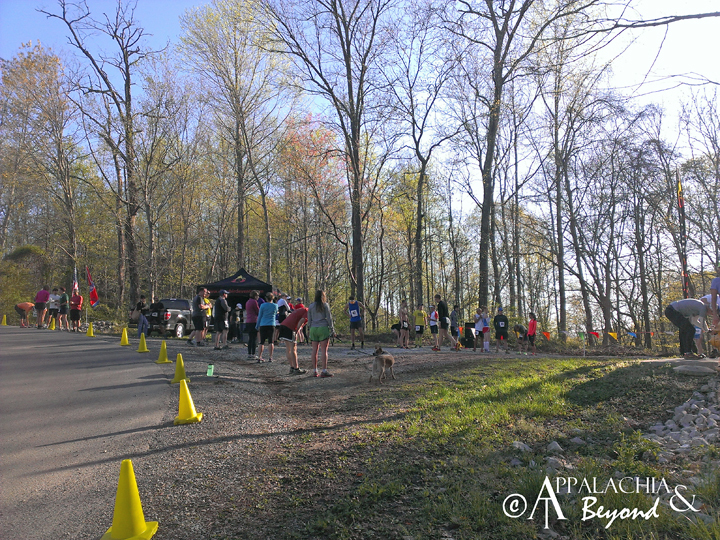 A couple of weeks past by, as well as Easter and I saw where River Sports Outfitters was giving away free entry to the War at Windrock trail running festival, a 2 day 3 stage 50K race in Oliver Springs, TN at the Windrock OHV area. 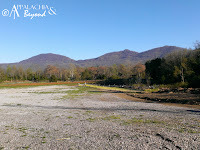 For those of you not familiar with that area, this is where the huge windmills are located on top of Buffalo Mountain. 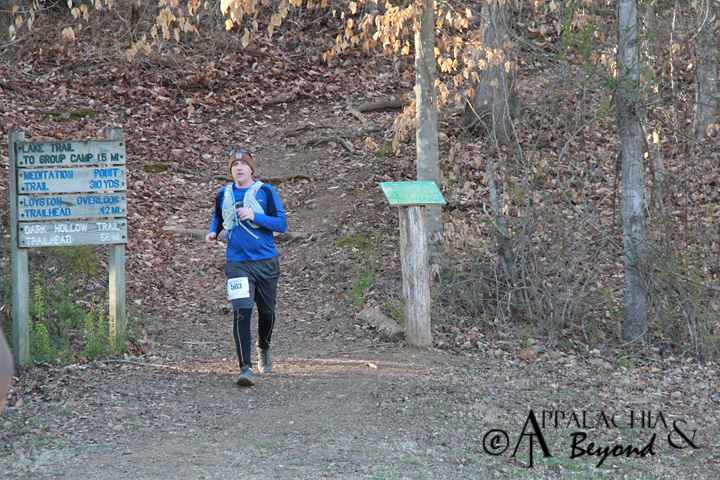 I hadn't planned on doing any races prior to Panther Creek but I still had the itch after Dark Hollow Wallow and even now I'm still itching to run more races. Back to the point however, River Sports was the title sponsor for the War at Windrock, which was being put on by Dirty Bird Events and they were giving away one free entry a day for five days and all you had to do was answer the trivia question they posted for the day and hope you were the correct answer they picked. As luck would have it, on the first day's question I was the lucky one, Woot Woot. 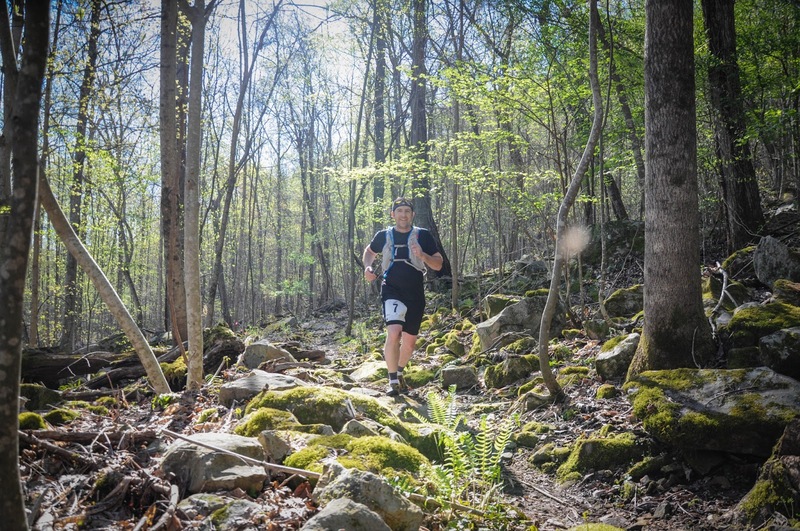 I knew with where I was at in my training, there would be no way that I could run all three stages, (Stage 1: a 4 mile loop trail race dubbed Get Fast, Stage 2: a 10K Uphill Climb dubbed Get High, and Stage 3 a 34K dubbed Go Long). Stages 1 and 2 where on the first day and stage 3 was going to be on the second day. Entry to the event allowed for 3 options, you could run the 2 races on day 1, run the race on day 2 or run all three races. With my free entry I decided that I would only run stages 1 and 2. I figured roughly 10 miles in 2 races would be great for my weekend long run even if they were separated by 4-5 hours. When race day finally came, I awoke at 5 something in the morning and was too excited to go back to sleep for another hour. So I got up and started to get myself ready by eating breakfast, fixing a lunch, and getting a cooler of drinks ready to take with me as well as all my gear. 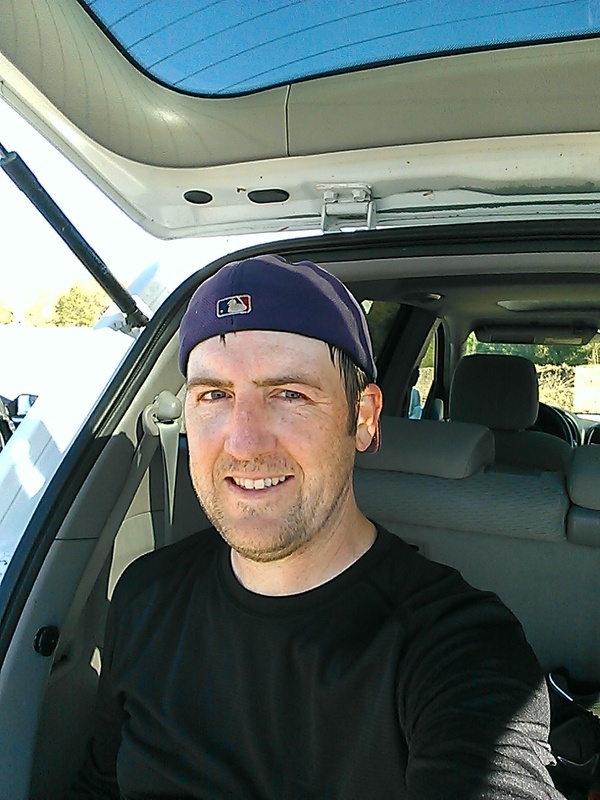 I arrived at the race just shy of 8 in the morning. The first race was slated to start at 9am. 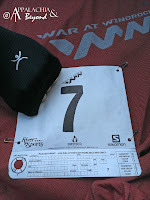 This gave me enough time to pick up my packet, get my number on and get good and warmed up. 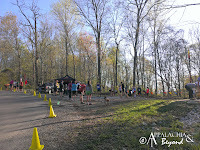 The descriptions of the first race was a mostly flat 4 mile loop that would allow runners to show off their speed. 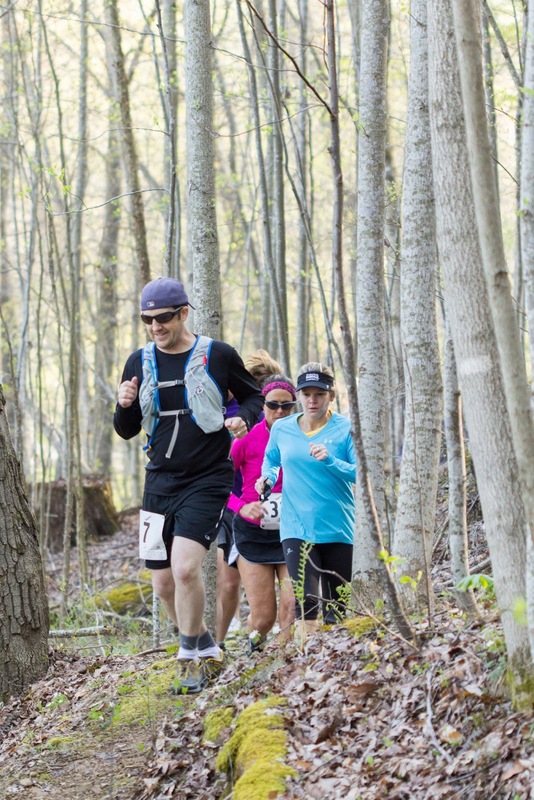 Of course being in the Cumberlands at Windrock, and looking at the elevation profile I knew that it wasn't totally flat. After a brief intro and a bit of instructions by the race M.C. the race was started and all runners on our way down the trail (which was actually UP the trail about 400 - 500ft ascent in approximately a mile). The course was a bit tougher than what most expected it was as tough if not more so as I had expected, looking at the elevation profile of this stage on the Dirty Bird Events website I knew that it would be far from flat and as they state on the race description, this is East Tennessee. After the first mile the course flattens out a bit on top of Walden's Ridge. 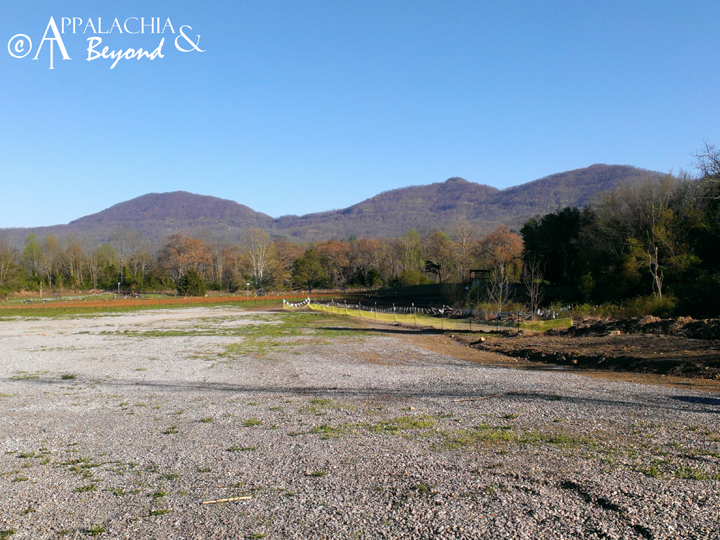 Here you get to see some great views of Oliver Springs. Traversing the ridge top was pretty sweet. The trail was soft underfoot and I was able to set a good pace. After a switchback or two up top, the trail started to descend the ridge. This was the fun part. The trail we were on was a mountain bike/hiking nature trail. I was really able to make up some ground between myself and another runner that I had swapped positions with back and forth on the ascent up the ridge earlier. The descent in total was around 600 ft or so in about another mile with plenty of switchbacks to help ease the grade. At the bottom, I was able to maintain a pretty decent pace as it was relatively flat as the trail wrapped itself back around to the north side of the ridge we were running on. It wasn't long however that the trail would start to climb again in order to get to the finish line. This time the climb was only 200 - 300 ft but after 3 miles of running it seemed to take the legs away from me and another runner or two. It wasn't long though and before I knew it, I was headed downhill and sprinting for the finish in just 19 seconds over an hour, finishing 25th out of 42 overall. Gender place was 18th out of 24 and in my age group 8th out of 11. Considering the second stage was completely uphill and from what I've heard about the third stage, the first stage was indeed flat as described on the event's website. Of course this is East Tennessee and there isn't much that's flat on a trail. Stay tuned for stage 2 or what I like to call Holy Elevation Batman, will this thing ever end? P.S. Again, I have to thank Terramar Sports for the awesome Body Sensors base layer shirts. They served me well during this event as well as my Terramar Socks. I need a couple more pair of those bad boys.